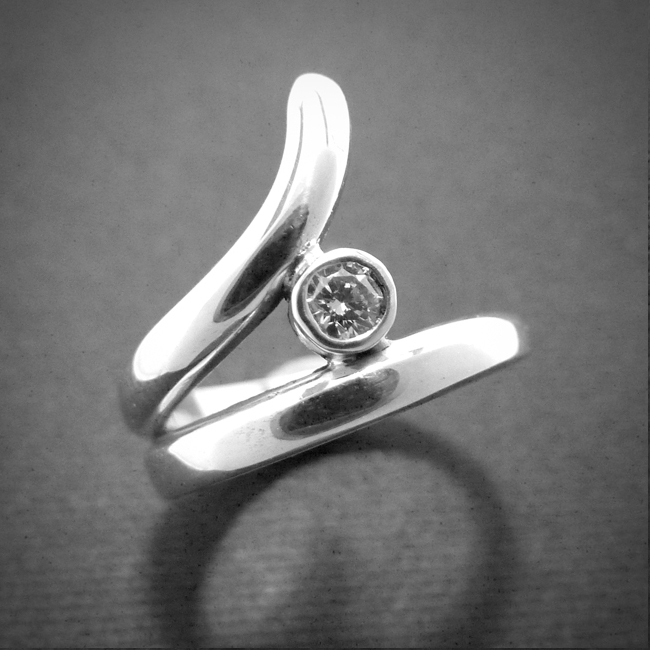 This stunning engagement ring is handmade using sterling silver and set with a 0.25 carat diamond. This solitaire engagement ring is ideal for someone who is looking for something a little bit different. Availability: In stock Size: N/A Categories: All Jewellery, Rings, Ring, For Woman, Engagement, Wedding, Wedding Jewellery, Engagement Rings. Tags: coach, products, shop, veston.